This site, including e-Editions, newsletters/reports, and any ancillary product related to Bariatric Times, and all of its content is copyrighted 2004 to present by Matrix Medical Communications. All rights reserved. Content may not be reproduced or distributed in any way, including (but not limited to) hard copy distribution, email distribution, or distribution via any website, without express written consent by Matrix Medical Communications (fee may apply). Opinions expressed by authors, contributors, and advertisers are their own and not necessarily those of Matrix Medical Communications, the editorial staff, or any member of the editorial advisory board. Matrix Medical Communications is not responsible for accuracy of dosages given in the articles printed herein. The appearance of advertisements in this journal or on this website is not a warranty, endorsement, or approval of the products or services advertised or of their effectiveness, quality, or safety. Matrix Medical Communications disclaims responsibility for any injury to persons or property resulting from any ideas or products referred to in the articles or advertisements. 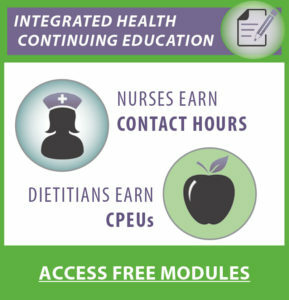 The content on this website, including the e-Editions, is intended for healthcare professionals only. It is not intended for users under the age of 18 and/or patients or individuals seeking healthcare advice or diagnoses. Individuals seeking healthcare advice or diagnoses should consult with a qualified healthcare professional. We collect information from you when you surf the website, register on our site, subscribe to a newsletter, fill out a form or enter information on our site. When you register on our site, we collect your name, email, mailing address, and optional information regarding your profession. Our website is scanned on a regular basis for security holes and known vulnerabilities in order to make your visit to our site as safe as possible. We use regular Malware Scanning. We do not collect credit card, banking, or other payment information, and for this reason this site does not have a SSL certificate installed. Compile aggregate data about site traffic and site interactions in order to offer better site experiences and tools in the future. We might also use trusted third-party services that track this information on our behalf. You can choose to have your computer warn you each time a cookie is being sent, or you can choose to turn off all cookies. You do this through your browser settings. Since each browser is a little different, look at your browser’s Help Menu to learn the correct way to modify your cookies. If you turn cookies off, it won’t affect your user experience. When visitors leave comments on the site, we collect the data shown in the comments form and also the visitor’s IP address and browser user agent string to help spam detection. PLEASE NOTE: We do not allow anonymous comments to be posted; thus, posting a comment on this site signifies the user’s understanding and agreement to have his or her public WordPress user information that was created when registering via WordPress to be publicly displayed along with the user’s comment. We do not sell, trade, or otherwise transfer to outside parties your PII unless we provide you with advance notice. This does not include website hosting partners or other parties who assist us in operating our website, conducting our business, or serving our users, so long as those parties agree to keep this information confidential. We might also release information when appropriate to comply with the law, enforce our site policies, and protect ours or others’ rights, property, or safety. However, non-personally identifiable visitor information might be provided to other parties for marketing, advertising, or other uses. We might include or offer third-party products or services on our website (usually in the form of advertisements) that contain links to other websites. These third-party sites have separate and independent privacy policies. We therefore have no responsibility or liability for the content and activities of these linked sites. Nonetheless, we seek to protect the integrity of our site and welcome any feedback about these sites. We utilize Google Analytics on our site to measure demographics and interests of our users. We, along with third-party vendors such as Google use first-party cookies (such as the Google Analytics cookies) and third-party cookies (such as the DoubleClick cookie) or other third-party identifiers together to compile data regarding user interactions with ad impressions and other ad service functions as they relate to our website.